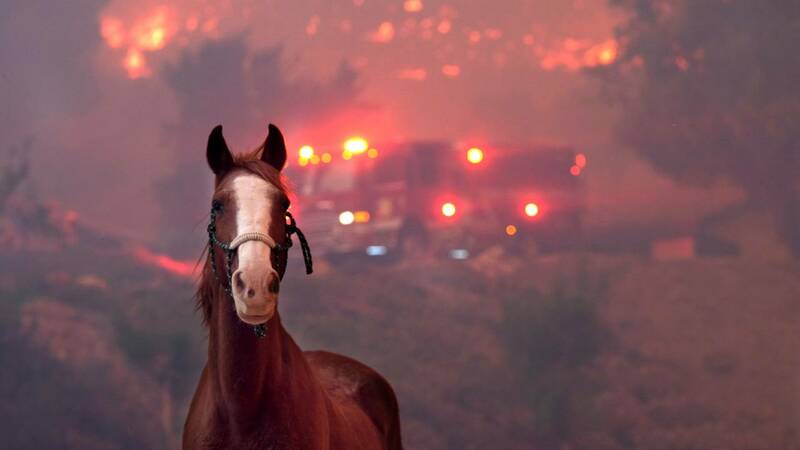 A horse is spooked as the Woolsey Fire moves through the property on Cornell Road near Paramount Ranch on Nov. 9, 2018, in Agoura Hills, California. (CNN) - When Jeff Hill returned to his neighborhood in Paradise, California, after evacuating during the Camp fire, he came across a wayward horse -- in a backyard swimming pool. The horse appeared to have jumped in to escape the flames, and was caught in the pool cover.